Following the success of the charity concert at the Castle of the Pomeranian Dukes in November, the Incubator for the newly born babies was delivered to the Maternity Department of the Goleniow Hospital. 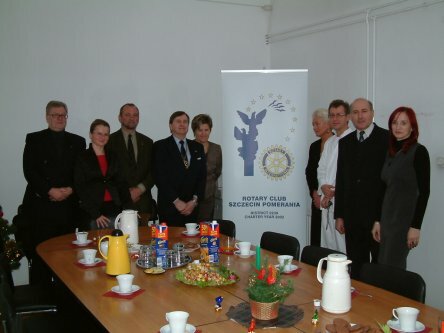 The handover took place on the 4th of December, and President Phil Brooks, President-Elect Alex Nielsen and Sergeant at Arms Zofia Galka represented the Club. 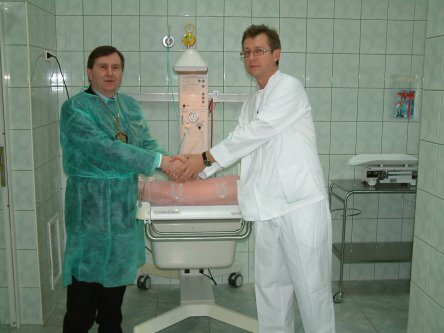 Doctor Pawel Korecki accepted the Incubator on behalf of the Goleniow Hospital. We were also pleased that representatives of four of the Sponsors of the project were able to attend; Polchar, Spin Group, TOM and Crown Packaging and local press and TV covered the event.